Hmm. A drama called “Live?” Let’s just say this name doesn’t help with Google searches. 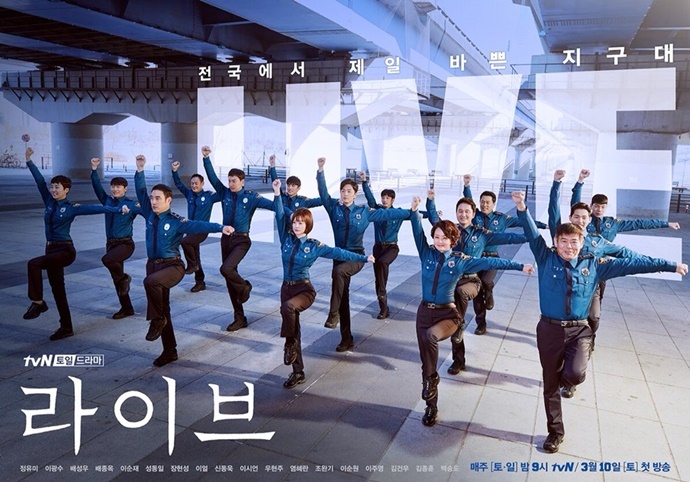 Live tells the story of police officers – from the lowest field cadets and patrol officers, to their superiors including corporals, captains, and more – as they form the ‘Live’ team at the Hongil patrol division. Each officer has their own, unique story, and each works hard in their own places at one of the busiest, most stressful jobs in the world, in order to earn a living. It doesn’t sound particularly exciting but I think we’ve all learned not to judge a drama by its synopsis. Especially when it’s written by someone as critically acclaimed as Noh Hee Kyung (Dear My Friends, It’s Okay, That’s Love). It’s directed by one of her most consistent collaborators, Kim Kyu Tae, so fans of her previous works will probably enjoy this one too . 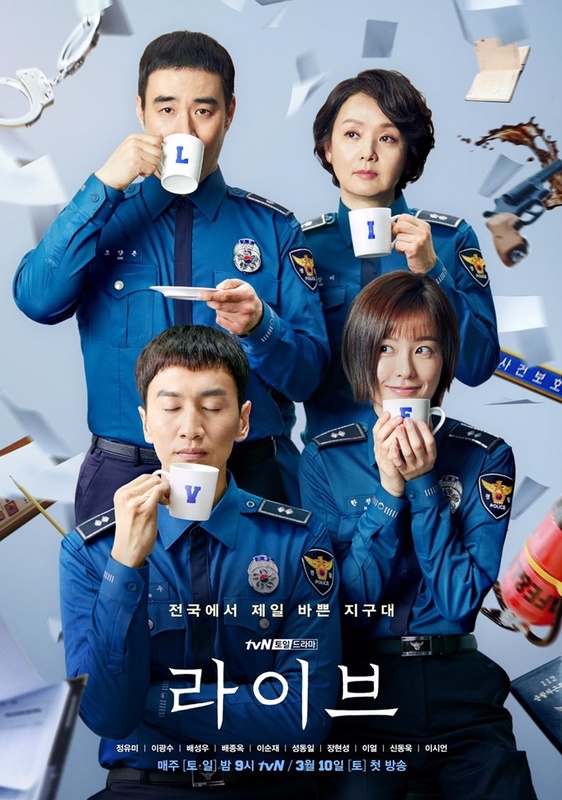 Lee Kwang Soo as Yeom Sang Soo: An ordinary man who, after being discharged from the military, joins the police force in an effort to have a normal life in the mainstream society. However, he becomes an icon of misfortune with every case that he handles and runs into conflict with a superior. Jung Yu Mi as Han Jung Oh: Yeom Sang Soo’s co-worker and a female officer that works to fight male chauvinism. The two characters with high fighting spirit will join efforts to solve incidents. Bae Sung Woo as Oh Yang Chon: A lieutenant of the police force. He was promoted quickly after solving several violent crime cases, but he is demoted due to an unexpected incident and is thrown into difficulties at the police force. The posters give off a light, fun vibe while the teasers and trailers make it look like your typical gritty crime drama. 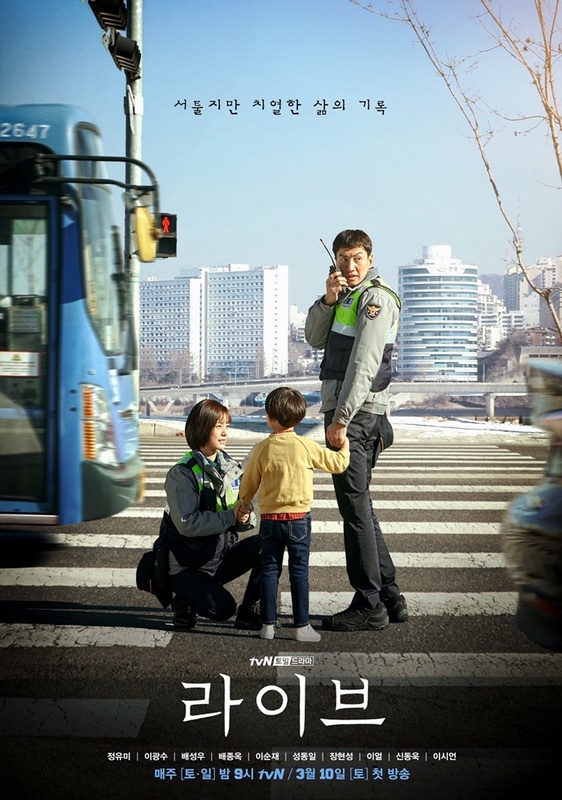 I guess we’ll all have to watch the premiere on March 10th on tvN to see what it’s really like.